The iPhone 5s is quite possibly the biggest S-update we've ever seen from Apple. I remember walking out of the venue during Apple's iPhone 5 launch and being blown away by the level of innovation, at the platform/silicon level, that Apple crammed into the iPhone 5. What got me last time was that Apple built their own ARM based CPU architecture from the ground up, while I understand that doesn't matter for the majority of consumers - it's no less of an achievement in my eyes. At the same time I remember reading through a sea of disappointment on Twitter - users hoping for more from Apple with the iPhone 5. If you fell into that group last time, there's no way you're going to be impressed by the iPhone 5s. For me however, there's quite a bit to be excited about. The A7 SoC is seriously impressive. Apple calls it a desktop-class SoC, but I'd rather refer to it as something capable of competing with the best Intel has to offer in this market. In many cases the A7's dual cores were competitive with Intel's recently announced Bay Trail SoC. Web browsing is ultimately where I noticed the A7's performance the most. As long as I was on a good internet connection, web pages just appeared after resolving DNS. The A7's GPU performance is also insanely good - more than enough for anything you could possibly throw at the iPhone 5s today, and fast enough to help keep this device feeling quick for a while. Apple's move to 64-bit proves it is not only committed to supporting its own microarchitectures in the mobile space, but also that it is being a good steward of the platform. Just like AMD had to do in the mid-2000s, Apple must plan ahead for the future of iOS and that's exactly what it has done. The immediate upsides to moving to 64-bit today are increased performance across the board as well as some huge potential performance gains in certain FP and cryptographic workloads. The new camera is an evolutionary but much appreciated step forward compared to the iPhone 5. Low light performance is undoubtedly better, and Apple presents its users with an interesting balance of spatial resolution and low light sensitivity. The HTC One seemed to be a very polarizing device for those users who wanted more resolution and not just great low light performance - with the 5s Apple attempts to strike a more conservative balance. The 5s also benefits from the iOS's excellent auto mode, which seems to do quite well for novice photographers. I would love to see full manual control exposed in the camera UI, but Apple's auto mode seems to be quite good for those who don't want to mess with settings. The A7's improved ISP means things like HDR captures are significantly quicker than they were on even the iPhone 5. Shot to shot latency is also incredibly low. 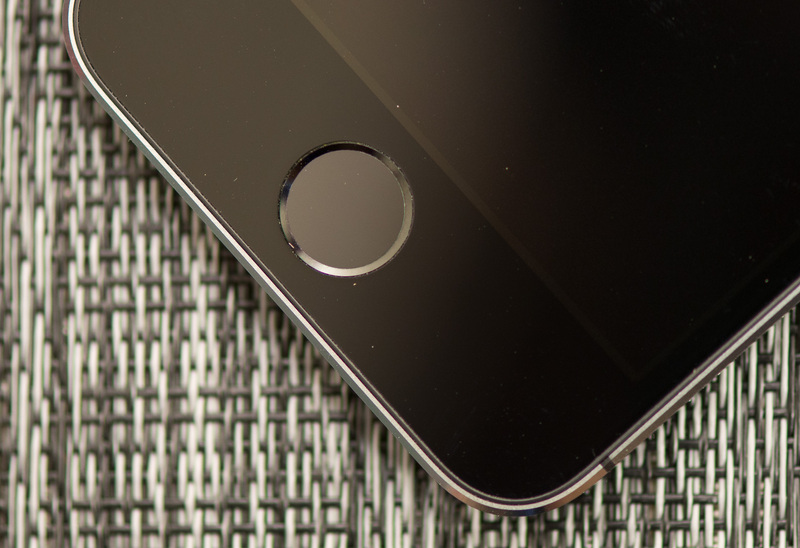 Apple's Touch ID was the biggest surprise for me. I found it very well executed and a nice part of the overall experience. When between the 5s and the 5/5c, I immediately miss Touch ID. Apple is still a bit too conservative with where it allows Touch ID instead of a passcode, but even just as a way to unlock the device and avoid typing in my iCloud password when downloading apps it's a real improvement. I originally expected Touch ID to be very gimmicky, but now I'm thinking this actually may be a feature we see used far more frequently on other platforms as well. 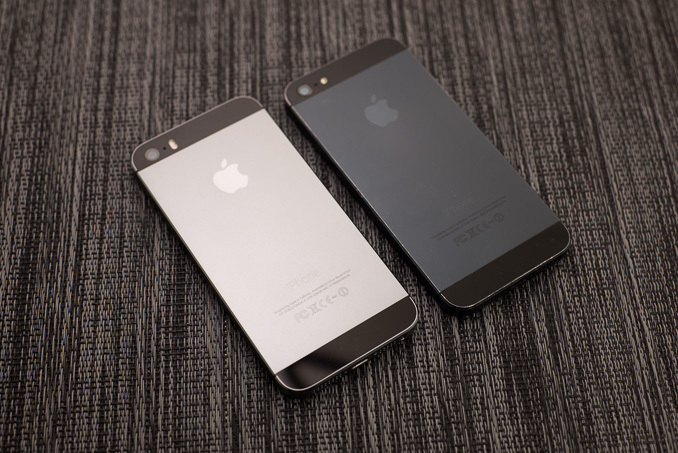 The 5s builds upon the same chassis as the iPhone 5 and with that comes a number of tradeoffs. I still love the chassis, design and build quality - I just wish it had a larger display. While I don't believe the world needs to embrace 6-inch displays, I do feel there is room for another sweet spot above 4-inches. For me personally, Motorola has come the closest with the Moto X and I would love to see what Apple does with a larger chassis. The iPhone has always been a remarkably power efficient platform, a larger chassis wouldn't only give it a bigger, more usable screen but also a much larger battery to boot. I'm not saying that replacing the 4-inch 5s chassis is the only option, I'd be fine with a third model sitting above it in screen size/battery capacity similar to how there are both 13 and 15-inch MacBook Pros. The lack of 802.11ac and LTE-A support also bother me as the 5s is so ahead of the curve elsewhere in silicon. There's not much I can see to either point other than it's obvious that both will be present in next year's model, and for some they may be features worth waiting for.